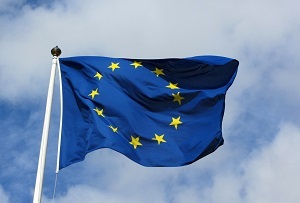 WORKPLACE RIGHTS: If the UK votes to leave the EU, it is unlikely that the government would change workplace legislation. What would happen to employment law in the UK if it votes to leave the EU in the forthcoming referendum? Much of our current legislation comes from Europe, including family leave, discrimination rights, working time and holiday pay. You might assume the government could repeal or modify EU-derived rules in such areas to make them more advantageous to UK businesses. Yet wholesale reforms would be unlikely. Disentangling the UK from its EU commitments would be a lengthy, complex process, but more significant are the political and economic realities. The UK would need to have an ongoing trade agreement with the EU, its biggest export market. The price would inevitably be acceptance of EU workplace regulation. In essence, the UK is unlikely to be allowed to undercut other states by applying lower labour standards. This applies to countries in the European Free Trade Association (such as Norway), which are obliged to comply with EU obligations while having no say in their formulation. Switzerland, which has multiple bilateral agreements with the EU, is in a similar position.